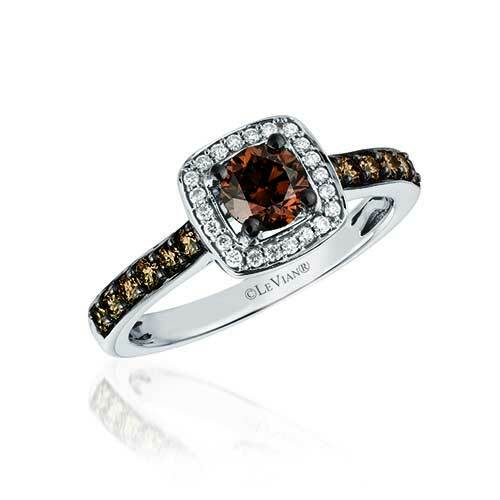 A Le Vian Chocolate Diamond will bring out your inner chocoholic. If you love chocolate then maybe your engagement ring should prove it with a Chocolate Diamond! Le Vian is the jewelry company that trademarked these diamonds and boy, oh boy, are they beautiful! Not just any old brown diamond can be a Le Vian Chocolate Diamond. Le Vian has a long history with jewelry. Their brand was held in such high esteem that royalty put them in charge of the king’s jewels. So, needless to say, a brown diamond must prove its worth before it can be named a Chocolate Diamond. If you like to try new things and want the things that everyone else will want after you have them then a Chocolate Diamond engagement ring would be for you. Le Vian designs these incredible rings with creativity and the uniqueness in style that only Le Vian could create. 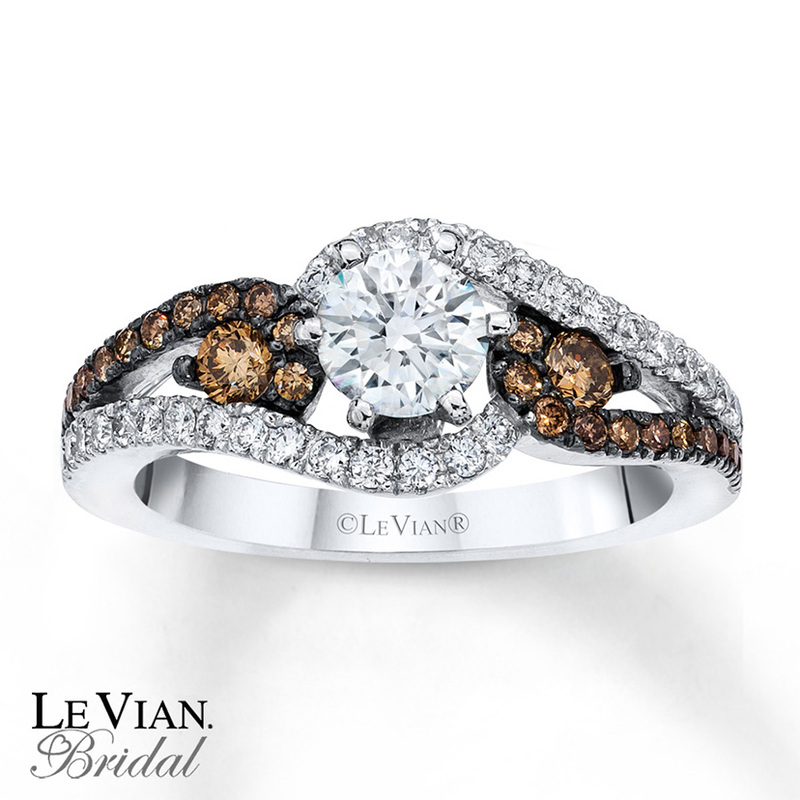 Le Vian’s Chocolate Diamond rings are usually mixed with other diamonds like white, pink, red, purple, green, or blue. Sometimes they mix them with other gemstones that aren’t diamonds at all. It is all about color and texture. That can be achieved with an amethyst instead of a light purple diamond, for instance. A different gemstone will bring a different texture or look to the design. There are a lot of different kinds of beautiful. Ben David Jewelers is a fine jeweler and an authorized retailer for Le Vian’s jewelry creations. 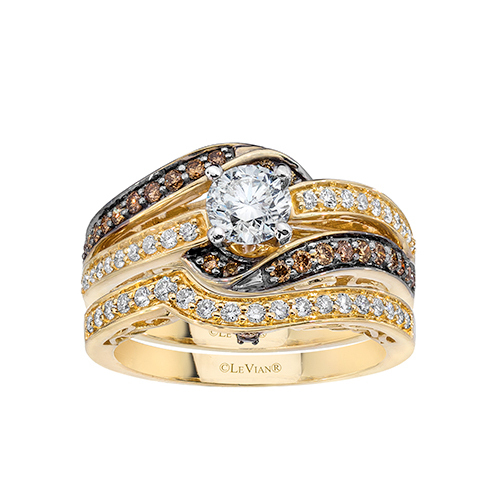 When you stop by the store in Danville, VA, ask the salesperson to show you the Le Vian Chocolate Diamonds. Le Vian creates far more than engagement rings, but they started a bridal jewelry line for those who love chocolate, just like you. Stop by and our salesperson will sit down with you over refreshments to browse these gorgeous diamonds.